Looks like he has being with a few different clubs. 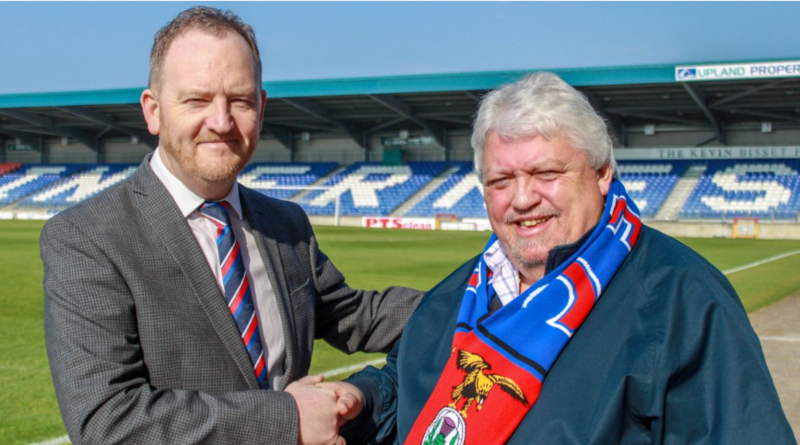 The good news - he has plenty of experience from having worked in significant roles at Rangers, Dundee and Hearts. While not “officially” its heavily rumoured he was binned for failing to order seats for the new main stand. Changing the Hearts mascot so it would resemble his dog was also a weird, if inconsequential, move. @birkiegary can tell you about this time at Dundee. He was let go from Dens when it was apparent at start of season that we had no sponsors lined up, despite big promises from him. Known as spoofer to the fans, talked a good game but it was all just talk. Seems to have an impressive resume. Looking from my remote viewpoint I think it is a sensible move. Looks like we can expect the next couple of years to be... eventful! But, as always, I wish him well and hope he is successful for the club. Hope I'm wrong but I've got a bad feeling about this one. My earlier optimism is somewhat diminished! This isn't fair at all. His role at Rangers was as Commercial Sales Manager, so he'll have had nothing to do with their admin/liquidation. He joined both Dundee and Hearts after their spells in adminstration. He joined both Dundee and Hearts after their spells in adminstration. Which means those skillsets may prove to be invaluable after the summer. He certainly has experience in a number of roles at various clubs, and has been in discussion with us for a few weeks. Might be good for both parties - new challenge off the beaten track for him and a fresh appraisal of the situation we are in. Over the years we have been a happy hunting ground for players and managers to come here and prove themselves - perhaps mr Gardiner will do likewise. Let's give him the benefit and wish him all the best for the new role. Perhaps he can be "the one"
For goodness sake give him a fair chance before carping and criticising. He can't possibly be any worse than his predecessor. Having been at such high profile clubs including Tottenham why is he now plying his trade at our low-key level? How much are we paying for these services? Folk can write anything they want on a resume. Proof will be in the pudding but I have a feeling like Crook this is gonna be a costly failure. 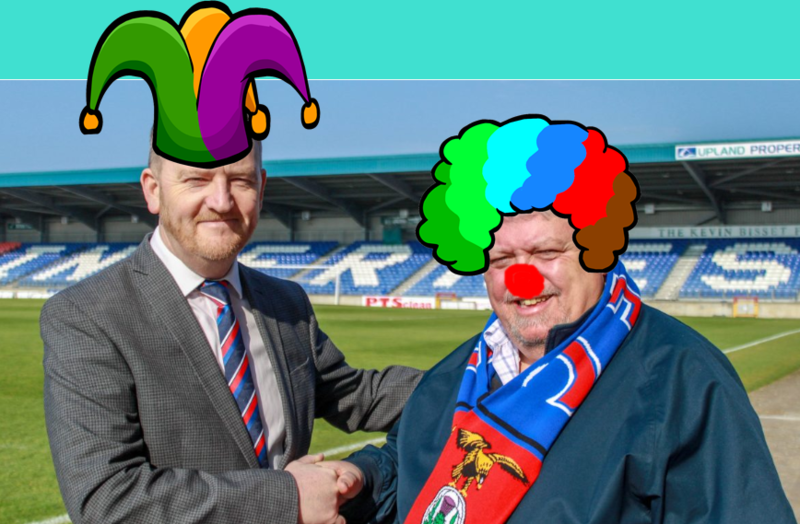 Christ, Coco the clown has employed the fecking joker as CEO! A very chequered past has our Mr Gardiner with other clubs - not too much favourable to say about him. Could this be an all new low for Coco's, so far appaulling, judgement?! I'm glad I'm not in the running for or being employed by the club, some of the comments and posts on here are verging on the ridiculous, you lot would have anyone hung, drawn and quartered before they start. I'll reserve judgement and see what happens with the club between now and August this year, that should be a decent time for him to out down some roots before the start of next season. Then it'll be interesting to see what his long term plans are and how he goes about implementing them. A smaller, more manageable outfit like ourselves may be exactly what he needs and regardless of his previous ups or downs, I'm sure his experience even to those around him will be invaluable. Stories in the media can be strung either way so I'll stay clear of reading them. I agree with Scotty that I question whether we actually need a CEO or can afford one and for me smacks of the Chairman not wanting to be in his role, as we know already, so employing someone to do duties he should and could be doing. If he doesn't want to be in his role why doesn't he stand down? I agree with that. Unless he can quickly demonstrate that he can generate more additional income than the cost of his salary then the money would be far better spent on a player. I'm sure you'll know that for large companies, it is generally considered best practice to separate the chairman and CEO roles. Avoids conflicts of interest, and makes a clear distinction between running the board and setting strategy and policy (the chairman's job) and the day-to-day running of the company to fulfil strategy and policy (the CEO's job). But, as you say, whether this is actually needed in a club the size of ICT is open to debate. It may be as simple as Graham Rae wishing to limit the amount of time he spends working for free on ICT business. That certainly wouldn't be my idea of "retirement"! If it's similar to the previous CEO around £70k a year I believe.